Hello, I am Paul Kobasiuk, nephew of Carl. Carl was born right in Lamont County . The children of Charles Purschke from Chicago USA and Anna Reinhard from Germany were Francis, Richard, Carl, Elizabeth, Edward, and Arthur. Carl and his siblings grew up on his fathers homestead near Star. 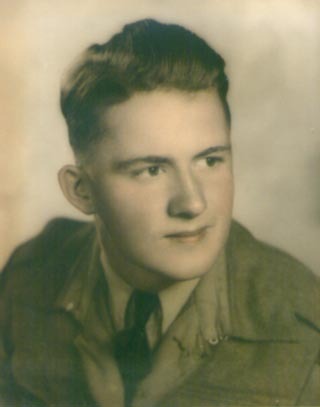 At the tender age of 17 in 1943 he enlisted into the Armed Services of The Queen's Own Rifles, Light Infantry. Through the years his favorite reading was war literature. There were many discussions with anyone that would challenge the subject. Carl was an avid reader of science, geography, and history. He wanted the facts. My first acquaintance with Carl was when he came to Grandpa Kobasiuk's farm with his tractor, to court my young Auntie Jane. He finally won her heart and they married on August 18, 1949. In a short time Carl and Jane moved to their own farm near Bruderheim, which Grandpa Kobasiuk insisted and helped them acquire “land”. Their first-born son was Randy in November 1950, and in March of 1959 they welcomed their son Donald into the family. Carl and Jane spent these happy years while the boys were growing up, camping, fishing and hunting. Carl and Jane traveled through Alberta, Saskatchewan, and B.C., and also to the Radium health Mines in the USA, which Jane enjoyed. Randy married Maryanne Svitich from Chipman in November, 1979. The young couple moved to Calgary while Randy proceeded to get a Bachelor of Education degree with the encouragement from Carl and Jane. What a joyous time when a beautiful granddaughter Lorette Jane was born November 18, 1982. Carl was so pleased having a little girl around to watch her growing up, but you guessed it, along came many camping and fishing trips. Even after his beloved wife Jane passed away in 1998, Carl was again very persistent in education, making sure Lorette went to NAIT, where she earned the highest degree in Computer Sciences. Carl was very proud of her accomplishments. Carl eventually took a job at Sherritt, being a plant operator for a number of years. Then he joined Alberta Food Products' Canola Plant in Fort Saskatchewan, as a plant operator until his retirement in 1990. About 4 years ago, Carl discovered he had a severe vein blockage in his neck. Finally the doctors convinced him this could be eliminated but was risky. Carl had the operation July 18, 2006. The same week severe complications set in, due to which he spent 3 weeks in the Intensive Care Unit, in the U of A Hospital. After 3 more weeks of intense care in the hospital, Carl, being of strong body and mind, was able to move to Lamont into extended care. His greatest hope and wish was to get healthy enough to be able to return to his beloved farm home and travel to Hawaii. Last week he had a turn for the worse and passed on to a greater place while his dear friend Claudette was by his side. May he rest in peace and be assured that he has passed the Torch of Life to many people that knew him. And now who is going to teach me how to operate your fancy short wave radio? Till we meet again Uncle Carl. 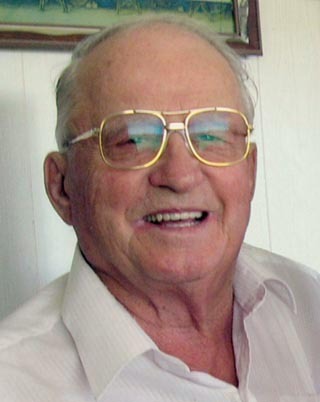 Addendum: Carl Purschke worked as the lineman for the Bruderheim Mutual Telephone Company and was for many decades, right until his death, a member of the Board of Directors of the Bruderheim Rural Electrification Association. He will be missed. --ed.